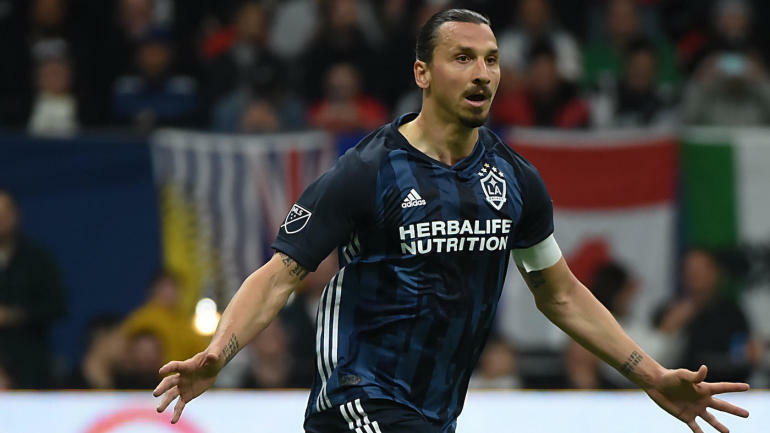 What Zlatan Ibrahmovic does after this season is anyone’s guess, but the Los Angeles Galaxy plan to sit down with him after this season to discuss another deal, according to sources. I’m told Ibrahimovic only wants to commit a year at a time, and the 37-year-old probably doesn’t have more than 2-3 seasons left in him, despite his unbelievable fitness. Even with his age, you can’t deny his ability and impact. In his first season with the Galaxy, he had 22 goals in 27 games. So far this season, he’s got four goals in three games. He’s enjoying life in Los Angeles and the Galaxy are off to a quality start, sitting third in the Western Conference. The Galaxy are hopeful in re-signing him he stays healthy, and if the team makes some noise in the postseason, it wouldn’t be a surprise to see him sign another one-year deal to try and bring a title to the city. But if he does leave, I have an idea who they may target (more on that below). Borussia Dortmund and USMNT star Christian Pulisic returned to training on Wednesday, but he’s still considered limited. He only began working with the ball on Tuesday and is yet to fully return to a complete training session. Sources tell CBS Sports they are confident he’ll return to the field before the end of April, but his return to training from the muscle tear is a positive sign that he could be back sooner rather than later. As for Weston McKennie, it didn’t look good for him in March when he was injured on international duty. There was an immediate concern he could possibly be out for this summer’s Gold Cup, but that’s not the case at all. A source close to Schalke tells CBS Sports that he is indeed progressing well and is expected to return in the coming weeks — and that’s huge because his team needs him. Schalke is five points clear of relegation but far from safe. Another source told CBS Sports that his specific timetable to return is around 3-4 weeks, but I’ve also been hearing he could potentially come back in two weeks if all goes well. The good news for USMNT fans is he’s expected to be perfectly fit for the Gold Cup in June. Joe Corona, 28, who signed with Los Angeles Galaxy back in March, could find himself back with the national team before long. USMNT coach Gregg Berhalter attended training Wednesday morning, sources told CBS Sports. Berhalter has already called up his teammate Sebastian Lletget, but Corona is a guy he’s keeping an eye on, according to a source. He’s a high-energy player who is also versatile. He can help by pushing forward but also has the ability to get back and help defend. The source said Berhalter wants to see Corona a play a bit more and that he’s someone he is keeping in mind. One big name to keep an eye on in regards to a future MLS transfer is that of Argentina national team striker Dario Benedetto of Boca Juniors. The star striker has been fantastic since joining Boca in 2015 after a move from America of Mexico. He’s got 43 goals in 67 games for the Argentine giants, and rumors are swirling that he could be on his way out of Boca in December if a big enough transfer fee comes through. A source close to the 28-year-old vet told me that he is intrigued by Major League Soccer, while admitting that Europe is the more attractive option. The Los Angeles Galaxy have shown interest in the past, and it makes perfect sense because current coach Guillermo Barros Schelotto was the one to sign him to Boca Juniors back in 2016, and it’s safe to say he knows him well. They have a great relationship, and he could be a target if Ibrahimovic isn’t re-signed by the team next season, though he wouldn’t come cheap. Boca Juniors likely values him around $12-$16 million. The interest is there from the Galaxy, but any pursuit will depend on what happens with Ibrahimovic. As Alex Morgan goes, so does the USWNT. She’s got 100 international goals in 71 games, and in those matches the U.S. has never lost. That’s 61 wins and 10 draws. Morgan already has a winning percentage of 93 percent with the national team, but the fact that the team is unbeaten when she finds the net obviously details her importance. If she puts together a quality tournament in France, there’s no reason why the U.S. can’t repeat. You can watch the United States men’s national team, MLS and more on fuboTV (Try for free).